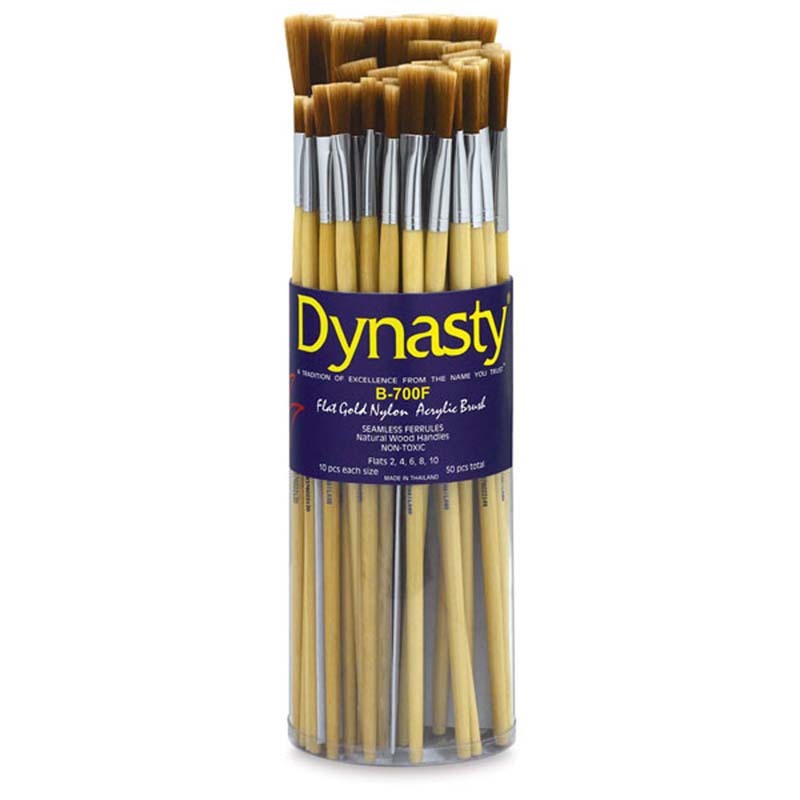 Long white birch handle Dupont Tynex Nylon artist brushes feature bristles sized for heavy bodied mediums. 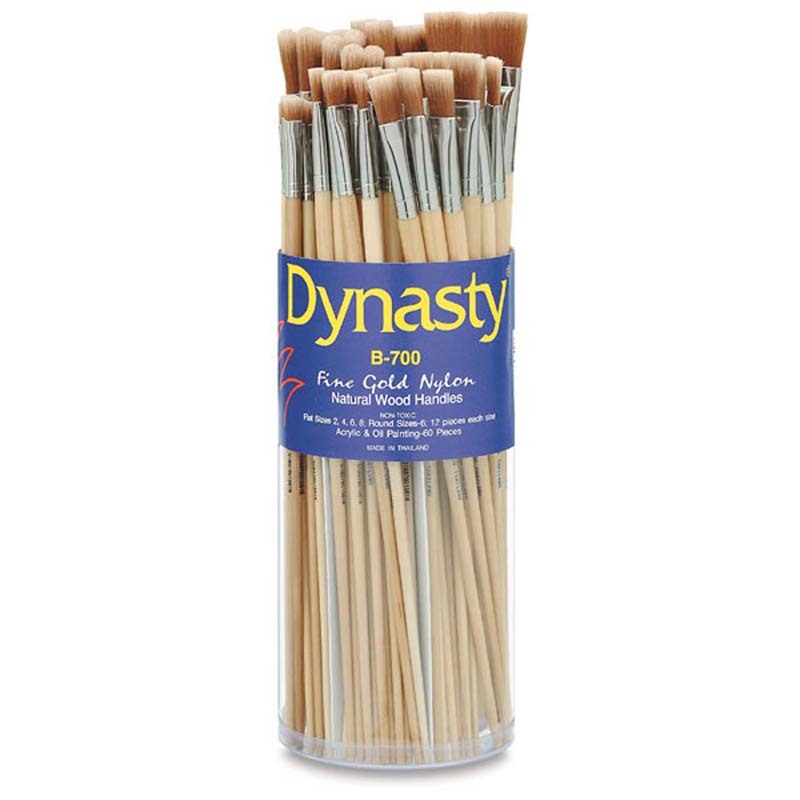 Moving a tremendous amount of color, this strong resilient brush is a classroom staple. Each set includes 50 pieces, 10 each of bright 2, 4, 6, 8, and 10. 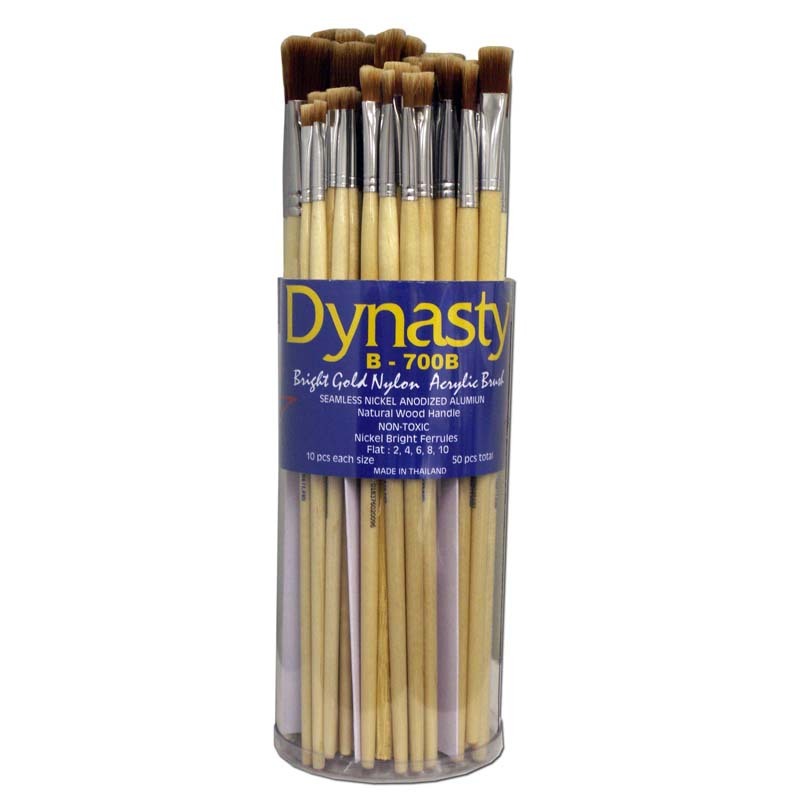 The B700b Dupont Tynex Nyln Brushes Flt50 Pc can be found in our Paint Brushes product category within the Arts & Crafts.